International Nurses’ Day is celebrated around the world on May 12 to mark the generosity and contributions of nurses everywhere, past and present. The date also marks Florence Nightingale’s birthdate; she’s the nurse many consider the founder of modern nursing. Today we’d like to take the opportunity to honour our favourite historical nurse, Aileen Rogers, who appears in both A Bear in War and Bear on the Homefront, and who helped to safely deliver English children to guest-houses across Canada during World War 2. Aileen was also the original owner of Teddy, who resides at the Canadian War Museum in Ottawa and is something of a national celebrity. Aileen Rogers was born in Montreal in 1905. She contracted polio at a young age and it affected her walking for much of her life. When she was 10 and her father, Lawrence Browning Rogers, went to fight in World War 1, Aileen sent her beloved teddy bear overseas to keep him safe. 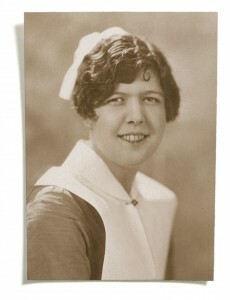 Years later she graduated as a registered nurse from Montreal General Hospital School of Nursing. She had various nursing jobs, including her work during World War 2, and ended her career as head of McGill University’s health services. She lived in Montreal until she passed away in 1988. Aileen’s experiences during the second world war were preserved in a diary she kept in 1940 along with hundreds of family letters and memorabilia from the wars. Her niece found these records stored in an old family briefcase in 2002. 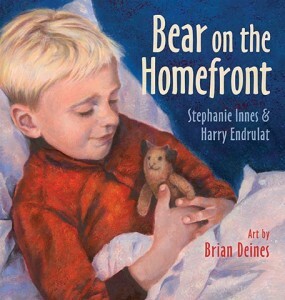 Stephanie Innes, Aileen’s great-niece, co-wrote A Bear in War and Bear on the Homefront using her family’s war memorabilia including Aileen’s journal, photographs, hundreds of letters, and Teddy. Stephanie lives in Tucson, Arizona, where she is the senior medical reporter for the Arizona Daily Star. This winter, Teddy, the famous stuffed bear who travelled to the front lines of World War I and back again, received a new home in the Canadian War Museum’s newly renovated “Homefront” exhibit. Teddy’s World War I exploits are recorded in the picture book A Bear in War. On Sunday, March 15th, a new book about Teddy’s World War II experience, Bear on the Homefront, will be launched at the Canadian War Museum. Children and their families can join co-author Stephanie Innes and illustrator Brian Deines for a book reading, art display, craft activity, and book signing. The event gets underway at 10:00 a.m. In Bear on the Homefront, Teddy helps English guest children travel to host families on the Canadian home front during the Second World War. 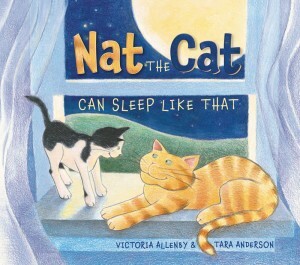 When two homesick children need a friend, Teddy bravely leaves his beloved Aileen to comfort them. But the war seems endless. Will Teddy and the children ever return to their homes again? 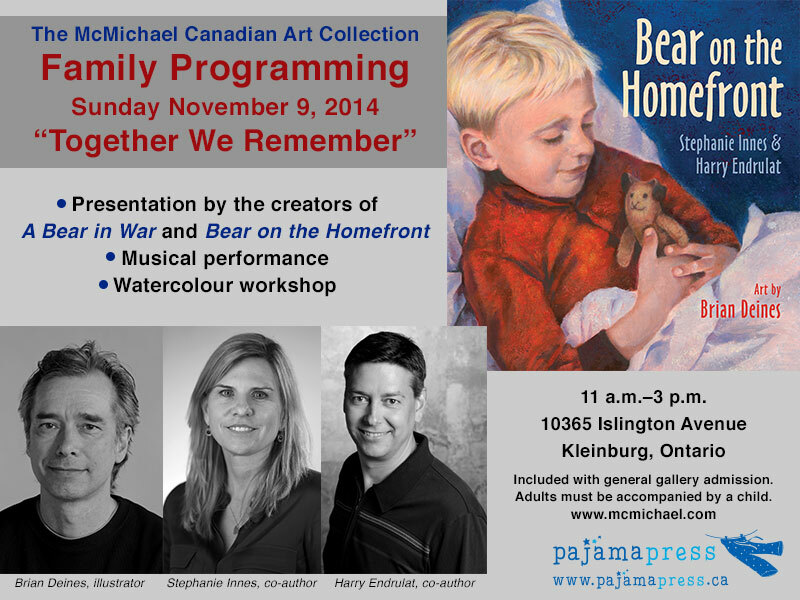 You can find more information about the Bear on the Homefront launch on the Canadian War Museum website. “With well-paced storytelling and soft, nostalgic watercolor illustrations, this follow-up to the World War I picture book “A Bear in War” tells another true story of the stuffed bear Teddy, this one set during World War II. Teddy’s owner, Aileen, who as a child had sent Teddy to her father while he was in Europe fighting the Great War, is now a nurse assigned to accompany British children sent to Canada during the bombing of London as they travel by train to their host families. Bear on the Homefront is SavvyMom.ca’s Pick of the Week! “Bear on the Homefront continues the true life adventure of a Teddy Bear begun in the book A Bear in War. Poignant and tender in its writing, this picture book helps to teach today’s children about real life experiences during World War II. Bear on the Homefront, told from the bear’s point of view, recounts how children were sent from England to Canada for safe keeping during the war and follows a young boy and girl, along with Teddy, who became guests of a family living on a farm in western Canada. The story shares a touch of their lives over the five years they spent on the farm, including how much they miss their parents and their home in England. Teddy, too, misses his family, Nurse Aileen. When the war is over and William and Grace go home to England, Teddy, too, is sent home to Nurse Aileen in Montreal. “This companion to A Bear in War (2009) extends the story of a Canadian girl’s teddy bear, who rode out WWI in the uniform pocket of the girl’s father and was returned after the he died in battle. Now, during WWII, the little girl has grown into a nurse assigned to a train carrying “guest children” across Canada. These children have been sent by their British parents to escape Nazi bombings. “This is the second picture book about a teddy bear’s adventure created by the team of Stephanie Innes, Harry Endrulat and Brian Deines. The first book, A Bear in War, follows the adventures of a teddy bear on the front lines during World War I. In this second book, Bear on the Homefront, the reader follows this same teddy bear’s adventures, except the story takes place on the homefront during World War II. During the second World War, as a result of the heavy bombings, many English children were shipped to allied countries to keep them safe. In Bear on the Homefront, Grace and William Chambers are sent to Canada to live with a family on their farm in Winnipeg. In Halifax, they are met by a nurse named Aileen Rogers, who accompanies them on their journey. To help alleviate the fear and stress the children are feeling, Aileen gives them her beloved teddy bear to comfort them while they’re in Canada. The teddy bear recounts the events that happen during his time with the children until he is returned to Aileen once again. The story is created using events from Aileen Rogers’ diary and making her real-life teddy bear the narrator. 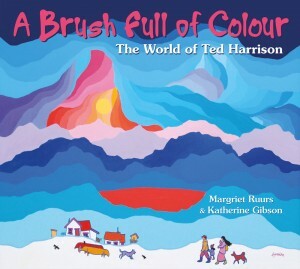 Giving the teddy bear a voice and telling the story from his perspective makes the book more appealing to young readers and enables parents and educators to introduce history in an interesting way. The book can also be used with older readers as a means of introducing some of the events that occurred in World War II and providing further opportunities for children to research the events and facts for the time period presented in the text.